A FIRMER United States dollar has dampened Portland Pretoria Cement Zimbabwe (PPCZ)'s prospects of penetrating potential lucrative regional markets, an official said. 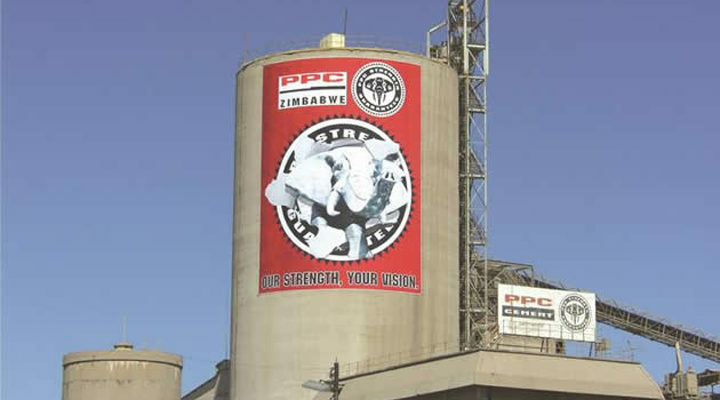 PPC Zimbabwe managing director Mr Kelibone Masiyane said the company was aggressively exploring opportunities to export its cement in the region as part of its strategy to improve its foreign currency coffers. "In an effort to generate foreign currency to pay for foreign inputs, PPCZ is aggressively exploring opportunities to export its cement to regional countries. However, the high manufacturing cost base and weaker regional currencies against a stronger dollar have rendered exports uncompetitive," said Mr Masiyane. He said the company's cement was certified by Malawi Bureau Standards. "Malawi is one of the countries, which the company has been exploring over the past few years together with Mozambique. We have been engaged in discussions with potential customers in Malawi. Malawi Bureau of Standards have certified our product. Mozambique authorities have introduced new import regulations, which PPCZ has complied with. However, they have increased the surcharge for imported cement as a form of protection for local manufacturers. This has made it financially unviable to enter the Mozambique market," said Mr Masiyane. He said the company was in consultation with the Ministry of Industry and Commerce as well as the Reserve Bank of Zimbabwe over access to foreign currency. "They (Ministry of Industry and Commerce and RBZ) are aware of the situation with respect to our outstanding foreign payments. PPCZ procures a significant portion of its inputs from foreign suppliers. This presents significant concerns with regards to business continuity as a result of the inability to settle foreign obligations. We highlighted that we require urgent assistance with regards to the settlement of outstanding foreign obligations," said Mr Masiyane. He said the company had the required funds in its local bank accounts but was failing to obtain the necessary foreign currency allocations from the financial institutions for the processing of outstanding foreign payments. "Our concerns have been duly noted and we are looking forward to a positive outcome — not only for PPC Zimbabwe but for the industry as a whole," said Mr Masiyane. Late last year, the Government introduced import permit requirements for the importation of clinker after the company hinted that it might be forced to shut down its Collen Bawn plant due to pressure from cheap imported products by other producers and smuggled cement, which was frustrating its operations. However, Mr Masiyane noted that cement was still being smuggled due to the porous nature of the country's borders. "PPCZ would like to thank the Government for the efforts made in reducing the quantities of imported cement. Local cement producers have sufficient capacity to meet the current local demand and therefore there is no need for additional cement. "We still note with concern that cement is still being smuggled into the country, particularly through the Beitbridge Border Post and Forbes Border Post in Mutare. We are requesting for the tightening of controls in these border towns to prevent the smuggling of cement," he said.